Laparoscopic liver surgery is expanding, and many studies have demonstrated the safety, feasibility, and advantages of the laparoscopic approach. Laparoscopic liver resection is a routine approach for a variety of liver lesions. 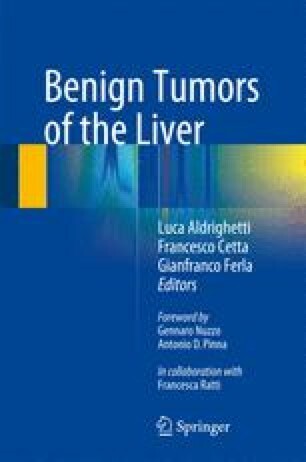 Incidental benign liver lesions are increasingly diagnosed due to widespread availability and application of modern imaging. It is important to note that availability of laparoscopic liver surgery should not lead to relaxation in surgical indications for benign liver lesions. A multidisciplinary discussion should proceed prior to recommendation of surgery in benign liver lesions. Some of the benefits of minimal access surgery like shorter hospital stay, early return to work, and improved cosmesis are more appealing to young patients with benign disease. We believe that whenever a liver resection is indicated for benign liver lesions, laparoscopic approach should be considered if expertise is available. Laparoscopic liver resection should only be performed in specialized centers.